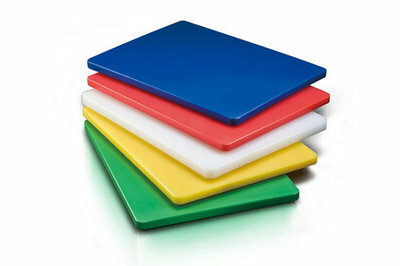 Do you use a wooden board or colour coded plastic boards. 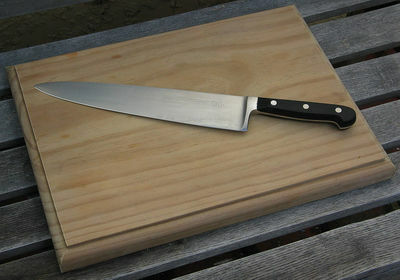 I have used wooden boards but they dont work very well. I rather using plastic boards. What I would like is a large butchers block. I've used both plastic and wooden boards and there are good arguments for and against using both types of boards. However, my favourite and what I've been using consistently for the past few years is my Peer Sorrensen. It's a sturdy and durable hardwood that lasts for ages when it's properly maintained (I'll oil my board each week). It's a great preparation and cooking accompaniment in the kitchen but also an accessory statement. It's featured in one or two of my food photos! Plastic, as they don't harbour germs, especially having gone through the dishwasher! Wooden boards cracks & crevices contain germs! Don't use! Oddly enough glass. I find that glass is the healthiest option for food prep as it doesn't allow anything to soak into it or to stick it's self between little gaps where its bacteria can multiply. My partners father spent a good while as a butcher and I have done certificates in kitchen operations and we both agree that it's the safest for food prep that is as long as your board is tempered by well enough to withstand both a sharp knife and being dropped on the floor every once in a while. I've use both , but I like to use wooden cutting board. I have a wooden board for the meats & vegetables, & 2 small plastic boards for everything else I need to slice up, or make sandwiches on.I've been given 2 glass ones as gifts from friends, but just the thought of scraping a knife over a glass boards sends shivers through me, so they're still in their boxes, after all the time I've had them. Our 2 daughters are or have been chefs/cooks, & they both only use wooden boards in their own kitchens. Are you concerned about ingesting parasites from eating rare or medium rare meat?